I was thinking about an article I wrote a few years ago – while watching Tom Brady in the Superbowl…. Tom Brady credits Tom House, PHD as his throwing coach (and attributes much of his success to Dr. House). 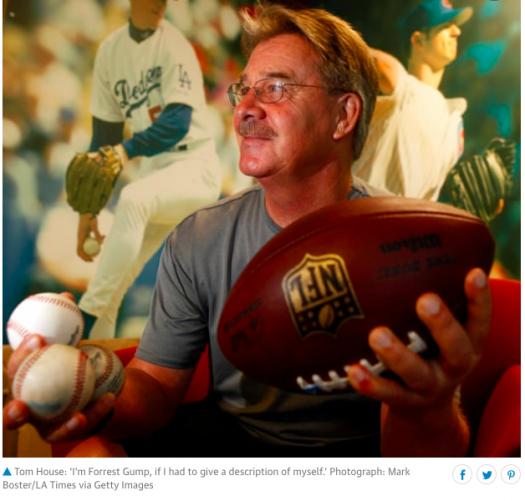 Dr. House has worked with many current and past NFL and MLB quarterbacks and pitchers including Randy Johnson, Tim Tebow, Drew Brees, Nolan Ryan, Carson Palmer… just to name a few. How many of you saw the movie Million Dollar Arm? A couple of years ago, I had the great fortune to spend 3 days with Dr. House. My son was invited to a pitching camp run by Dr. House and I was able to attend and spend a lot of time “bouncing” questions off of Dr. House and watching how himself and his assistants worked with potential future “big league” pitchers. (Since that camp, my son has trained and spent a lot of time with Dr. House and his assistant Alex Marney). The reason I am writing this article is because of the numerous similarities between the training Dr. House promotes for his pitchers / quarterbacks and the training we promote for you to improve your golf swing. As Dr. House went through his training, why he trained in a particular manner and the reason he trained in a certain order – it was absolutely amazing the similarities in what he does and what we do (how he trains pitchers / quarterbacks and what we train golfers in the single plane golf swing). Basically, Dr. House broke down the kinematic sequence of the movement of a pitcher / quarterback, then created VERY SPECIFIC drills to work on the particular areas of the kinematic sequence. Most of these drills DO NOT involve throwing the baseball or football, but rather static drills working on the different positions and movement. We do the same with the golf swing. First – everything taught/trained is based off of what is called the kinematic sequence (whether it is the movement of the pitcher / quarterback or the golf swing – there is a particular sequence that is similar and in a particular order to be successful). 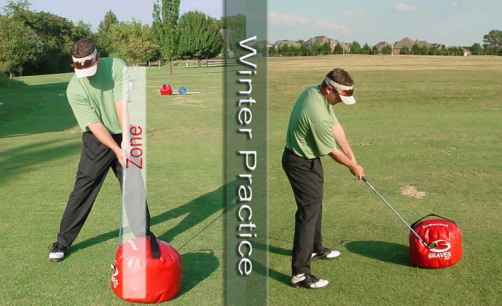 Obviously, we will discuss the sequence in relationship to the golf swing, and we will discuss particular training drills to help you with the different movements/areas of the sequence. 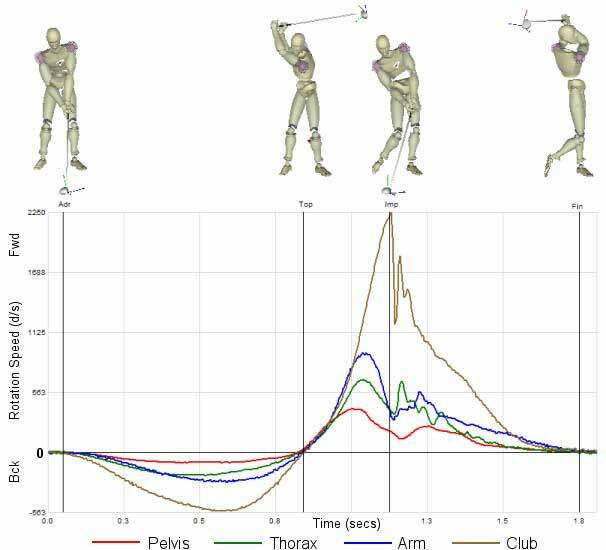 In simple terms, what the sequence shows is the sequence of the downswing of the golf swing starts with the hips, then the thorax/shoulders, then the arms, then the golf club. One starts, then as it starts to slow down the next movement starts, etc… if the sequence is done correctly it will maximize speed and give you the best chance to get the club on plane. As Moe said – the golf swing is started with the lead knee. He would often say, “My lead knee starts my down swing”. So, as the lead knee starts the down swing – let’s talk about a couple drills to help you get the lead knee working correctly. (As the same with Dr. House – you take VERY SMALL steps and very specific drills to work on the different areas of the movement / sequence). First – you must set up correctly to allow for your lead knee to flex toward your lead toe. The lead toe must be turned out at least 10 degrees (up to 20 degrees). This turning of the lead toe outward will allow the lead knee to flex toward the toe in the downswing. 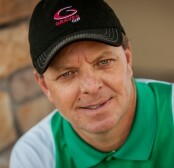 Second – you must be set up the correct distance from the golf ball. At least 26 inches from the golf ball to toe line with a 6 iron and at least 36 inches from the golf ball to toe line with a driver. Being too close to the golf ball at set up will cause the body to “pull away” from the golf ball to get enough room from the lead shoulder to the golf ball to make contact. Being the correct distance at set up (combined with clubs that fit you) will allow you to start the sequence correctly with the flex of the lead knee toward the lead toe. 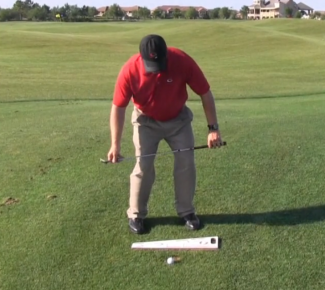 d focus on the hold impact position and the flexed lead knee. Knees are flexed at impact – the lead knee toward the lead toe. The flex of the lead knee starts the downswing (original move of the sequence) and stays flexed through impact. A pitch is basically a mini golf swing with a slightly open stance. The best part of working on your pitching is you can focus on very specific parts of the swing. Getting your hands down the target line and focusing on your proper lead knee flex through and at impact. In particular review the pitching training video – In particular, 2:00 into the video. This video in particular focuses and shows you proper knee flex to start the downswing, through impact and finish. Again, the key is the proper sequence of the golf swing to create maximum speed and gives you the ability to get the club on the proper plane. Just as Dr. House does with his students, working/training on the specific parts / particular areas of the sequence will allow you to eventually maximize the proper sequence and greatly improve your golf swing. Comment / Questions? Please feel free to submit.